I was somewhat surprised to see Stephen Poloz recently urging economists to do more work identifying and disseminating research on the supposed benefits of free trade. That’s slightly beyond his job description (perhaps more fitting with his last position as head of Export Development Canada). But like economic leaders elsewhere in the world, Mr. Poloz is obviously concerned with the disintegration of popular support for neoliberal free trade deals. That disintegration will have tectonic economic and political consequences. True believers may think that merely educating citizens about how trade deals reallyare good for everyone (á la David Ricardo’s textiles and port parable) will save the day for globalization. But I think there’s a much deeper problem. 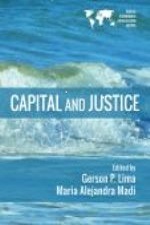 The reality is that trade liberalization, as currently practiced (with an emphasis on corporate power and capital mobility, and absent effective demand-management and imbalance-correcting tools), has harmed many millions of people — in both developed and developing countries — and is now repressing growth, not stimulating it. All the comparative advantage pontificating and CGE modeling in the world won’t magically convince people to deny their own lived reality: namely, that globalization is one reason (among others) why their economic prospects have visibly diminished over the last generation. The OECD has just released its 2013 Employment Outlook. In addition to its usual overview of labour market developments, Chapter 2 of this year’s report reports on a thorough revision and updating of the OECD’s quantitative index of employment protection legislation (EPL). 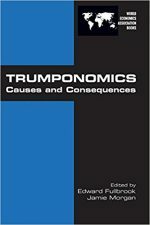 The chapter contains a useful summary of the mainstream literature regarding EPL costs and benefits – although this would have benefited from inclusion of the important heterodox voices who have written about on the employment effects of labour market institutions (such as Baker, Glyn, Howell, and Schmitt). Chapter 2 also contains a detailed review of the revised methodology behind the OECD index. The actual country scores for the index do not seem to be reported in the chapter, but they are available through the OECD’s online employment database. Britain’s Chancellor of the Exchequer made the surprising announcement this week that the next Governor of the Bank of England (replacing the retiring Mervyn King) will be Mark Carney, currently serving as head of the Bank of Canada. What do banks actually DO? Create credit out of thin air. Were Canadian banks bailed-out? Absolutely, to the tune of $200 billion. And they are still protected and subsidized more than any other sector of the economy. What must be done with these banks? Tax them, control them, and ultimately take them back. The time since 2008 has been a crucial historical moment for progressive economists to pull back the green curtain that surrounds the operation of the for-profit banking system, and expose that system for what it is: a government-protected, government-subsidized license to print money. One of the most controversial topics that will be addressed at this month’s G-20 meetings in Toronto, Canada will be the proposal for new taxes on banks and other financial institutions. Unfortunately, the host to the summit, Canada’s strongly neoliberal Conservative government, has already expressed strident opposition to any new tax on banks – whether a Robin Hood-style tax as proposed by Oxfam and other progressive groups, or the milder measures being studied by the IMF.